Branching List is one of the ways to visualize your question branches. It can be accessed through your survey's Question Branching tab, by clicking the Branching List icon on the right side of the subnav. By default, you'll see the Branching List view. 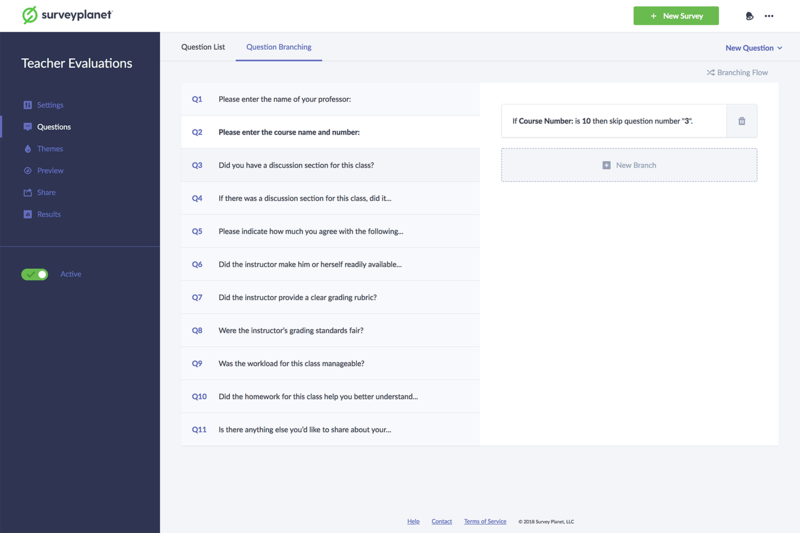 This is a list of your survey's questions and highlighting a question will reveal its branches. Branching Flow looks similar to a flow chart. It can be accessed through your survey’s Question Branching tab by clicking the Branching Flow icon on the right side of the subnav. 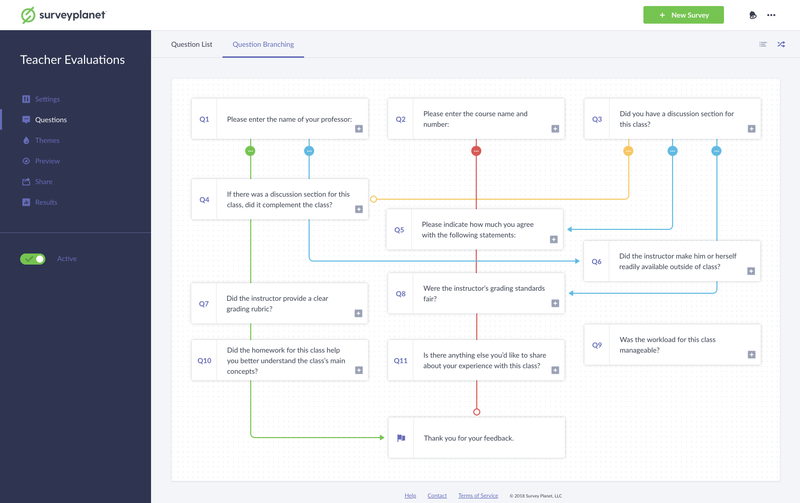 In this view, the branch actions are represented as lines connecting your questions so that you can see how your participants will navigate your survey. Each action is represented by a unique color. All branching lines have an ellipses icon attached. You can click this icon to read a description and delete the branch.